In a piece for Al Jazeera entitled “black swan events and the global economy,” NYU economics professor Nouriel Roubini, the “doctor of doom,” has presented a new dark perspective on the current state of global economics. Roubini integrates a number of negative economic metrics and phenomena, including “black swan” events such as the Japanese earthquake and more mundane though far from rosy economic data that challenges the views of economists who are eternally optimistic. 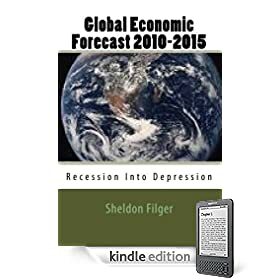 While the optimists believe the current negative economic factors are merely hiccups, and equity growth can resume in full force, Roubini warns that the dangers confronting the global economy are chronic, and may lead to a double-dip recession. 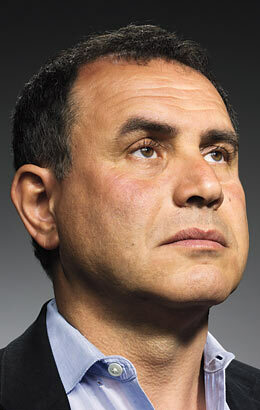 In essence, Roubini offers a portrayal of the current state of the global economy that is laden with doom and gloom. Three days after the Democratic Party lost control over the U.S. House of Representatives in the midterm election, the Obama administration heralded a supposedly impressive jobs report. According to the Bureau of Labor Statistics, the U.S. economy created a net total of 150,00 jobs during October. Sounds good. However, the unemployment rate stood at 9.6 percent, suggesting that previously discouraged workers reentered the job market. If Professor Nouriel Roubini is skeptical about the laudatory jobs report just released, we all should be. In an interview with CNBC, the renowned NYU economics professor Nouriel Roubini reverted to his apocalyptic mantle of “Dr. Doom.” He said without equivocation that equities were likely to lose 20% of their current valuation. 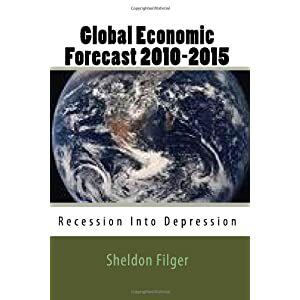 He pointed out that the Eurozone debt crisis and general weakness in the global economy will create severe challenges for investors. Regarding the Greek sovereign debt crisis, Roubini described efforts to bail out Athens and other highly indebted Eurozone countries as “mission impossible.” He went on to provide a dire overview of the fiscal crisis gripping many advanced economies. “What needs to be done is clear. We need to raise taxes and cut spending. 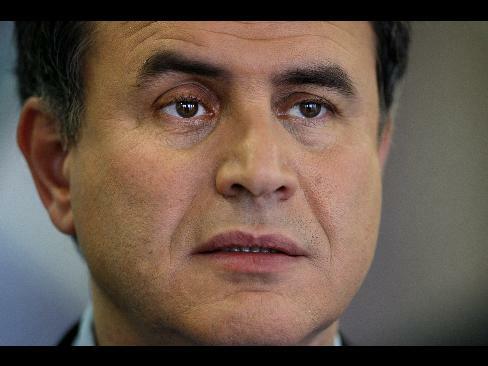 Otherwise we’re going to get a fiscal train wreck,” warned Roubini. Readers of my book, “Global Economic Forecast 2010-2015: Recession Into Depression” are aware that my own projection is that the growing sovereign debt problem will mark the next phase of the global economic crisis, sparking a synchronized global depression. During a panel discussion conducted by the Milken Institute on the Greek debt crisis, as well as in comments to the media, Professor Nouriel Roubini relayed a stark assessment on the situation. His assessment of the planned bailout of Greece by the International Monetary Fund and the Eurozone nations, especially (if reluctantly) Germany, was damning. The bailout will not work, Roubini emphasized, as the problem confronting Greece was not one of illiquidity but rather the far more dire circumstance of insolvency. Roubini made several references to Argentina’s fiscal crisis at the turn of the current century, which culminated in default on the national debt because of egregious errors made by policymakers. The failure of policymakers in the Eurozone to recognize that Greece is insolvent and requires debt restructuring, rather than a bailout in the hope of calming markets, will make a bad situation far worse, and waste an enormous amount of public money. “Greece is just the tip of the iceberg, or the canary in the coal mine for a much broader range of fiscal problems,” said Roubini. The disorderly debt default of Greece would spread contagion throughout other highly leveraged economies in the Eurozone, he warned.